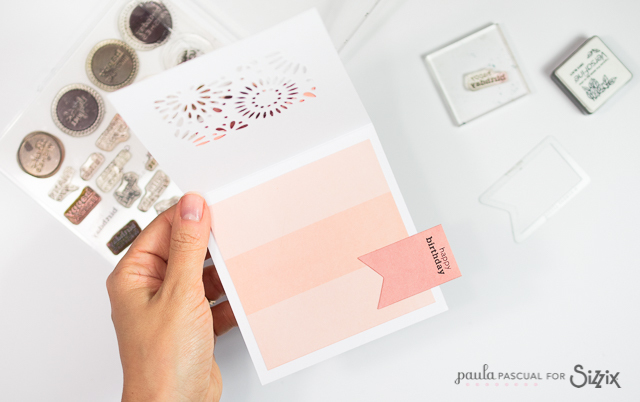 Paula Pascual: New tutorial step by step for Sizzix | A pretty card made with a box die! 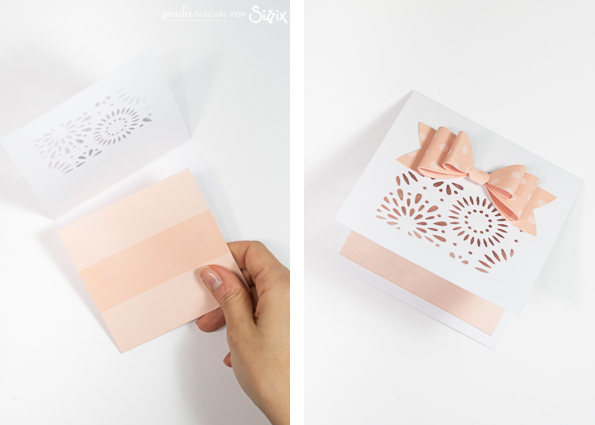 New tutorial step by step for Sizzix | A pretty card made with a box die! Click here or on the photo to find out how to make this pretty card step by step! Last time I was here with an showing how the the Sizzix Thinlits Plus Die Set 13PK - Box w/Fancy Lid 660841 makes lovely bows. 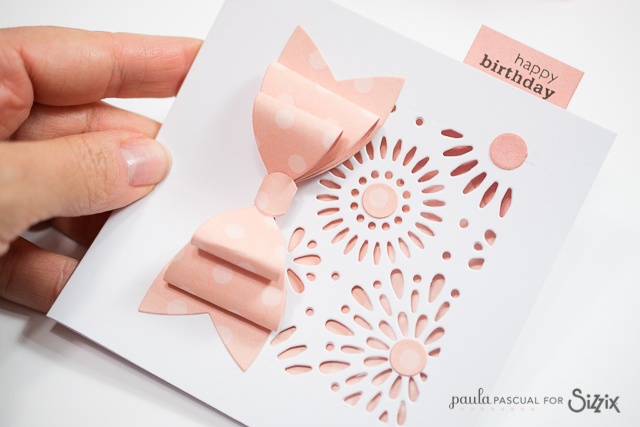 Today, I will show you that you can use the decorative panels as well for cardmaking. For this card, even though this is a Plus die, all the elements will fit through the regular Big Shot. 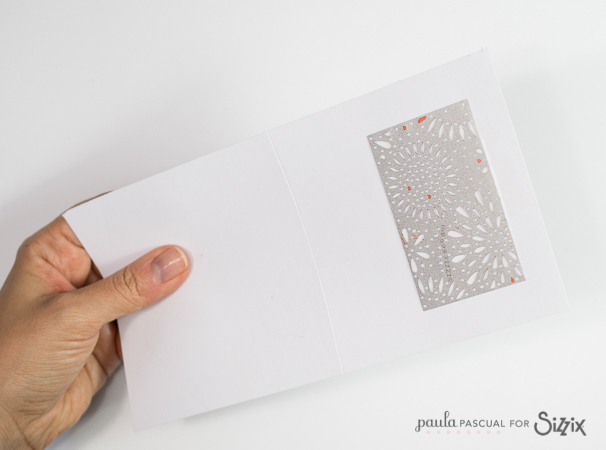 I place the die on the front of the card and secure it in place with low tack tape. Then I run it through the Big Shot and made sure from the back that all those lines were cut. Because it is such a detailed die, you may need to run it through a couple more times. I cut a square piece of paper and layered in the inside. I then added a die cut bow from the same set. Sizzix Framelits Plus Die Set 16PK - Banners #2 ) and attach it so it overlaps. I used the circles from the Bow set to add interest to the centres of the flowers. And it was done. Very quickly but with quite a lot of detail!